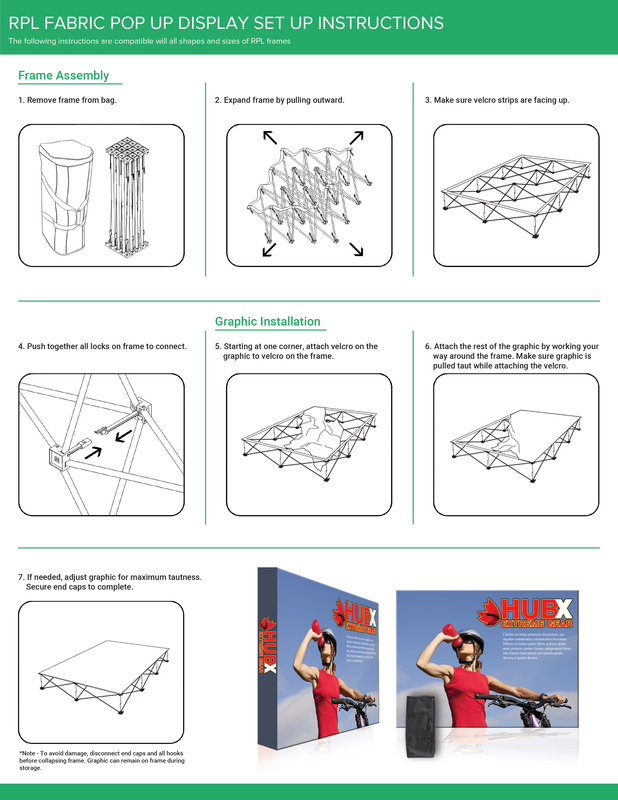 This 10’x10′ RPL Fabric Pop Up is the perfect display on the go. It’s ready in minutes. The lightweight aluminum geometric frame locks in place using plastic hooks. The lightweight aluminum alloy frame locks in place using plastic hooks. Fasten the graphic to the frame with hook & loop. Interchangeable graphics make it a versatile choice, Easily collapse the frame with front graphic attached and stow in your carry bag. Your graphic stays attached in your free travel/carry bag that comes with each frame you purchase.